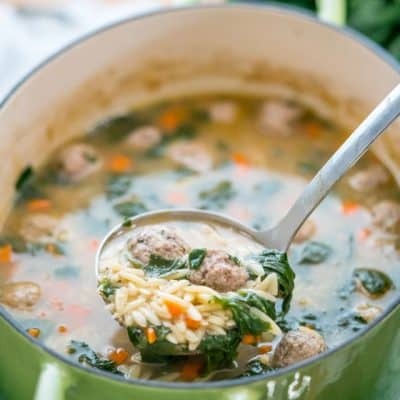 Italian Wedding Soup – an American-Italian soup with spinach and orzo and easy to make meatballs that taste delicious. So simple, quick and always a big hit! One might think that the name of this soup implies that it’s served at Italian weddings, but actually it has nothing to do with weddings. It’s said to get its name from the marriage of ingredients, the meat, greens and noodles, because together they are a marriage made in heaven. I was introduced to Italian Wedding Soup years ago, and yes it was at an Italian Wedding. I know, after I told you it has nothing to do with weddings, but I think because of its name people have started serving it at weddings. 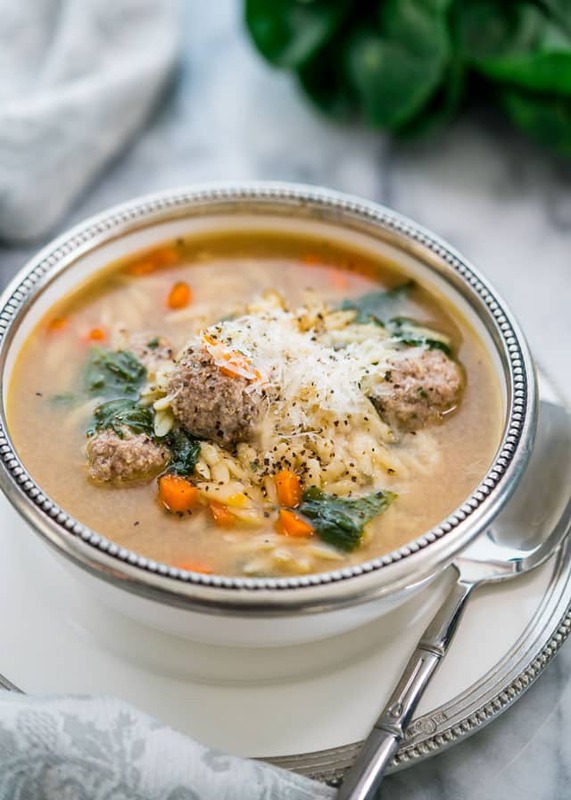 Nonetheless, Italian wedding soup is one of my favorites because it’s so easy to make and chances are that normally you would already have all the ingredients necessary. Now this soup, I must say I learned to make on my own. 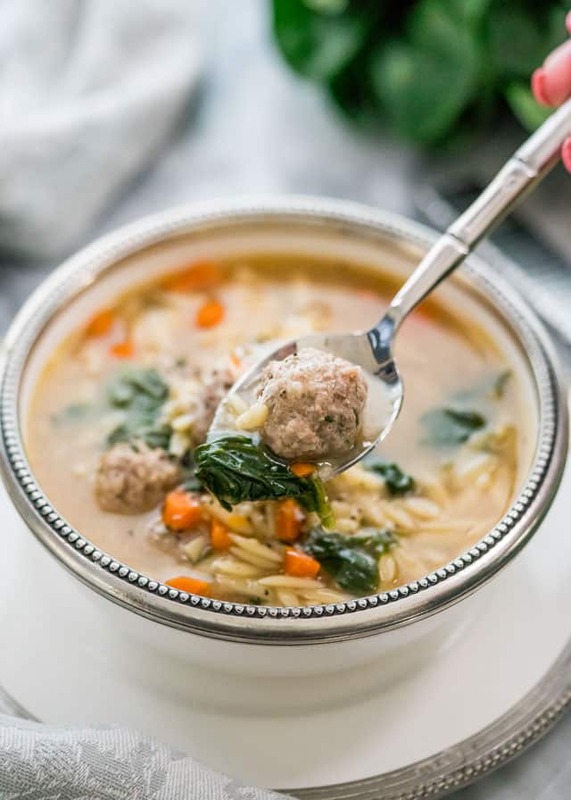 We Romanians we have our own meatball soup but this Italian wedding soup is a bit different because it has spinach in it. Sometimes people also use endive. Anyway, this soup is excellent on a cold day but I make it year round. Personally I don’t need soup weather to eat soup. The meatballs are pretty easy to make and you can use any ground meat you like, normally I like to mix ground pork and ground beef but this time I only used extra lean ground beef. I also added carrots to it this time, but it’s an optional ingredient. Most of the time the soup is just a clear soup with spinach or endive, meatballs and pasta. Usually orzo is used or acini de pepe which means “grains of pepper” in Italian, but it’s really tiny little pieces of pasta. The best part about this soup, in my opinion, is the freshly grated Pecorino Romano cheese on top. It really completes the whole soup giving it that extra oomph of flavor. 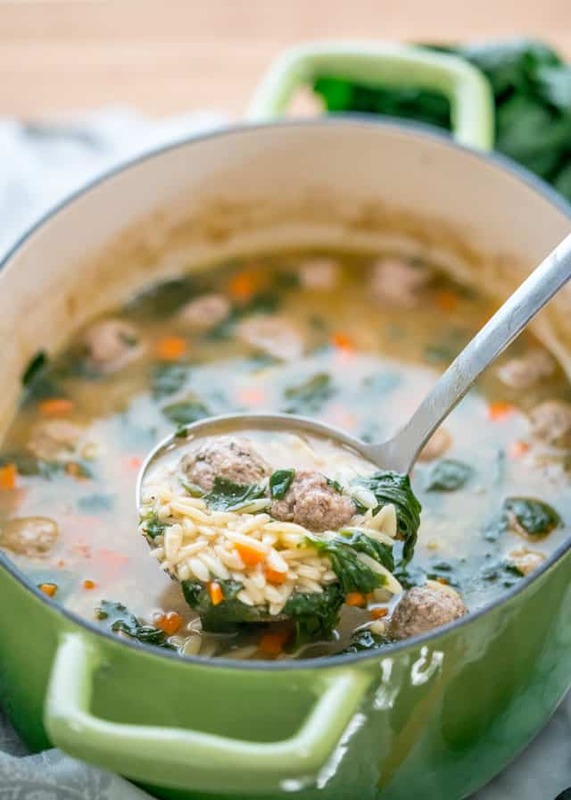 Italian Wedding Soup - an American-Italian soup with spinach and orzo and easy to make meatballs that taste delicious. So simple, quick and always a big hit! Add all the meatball ingredients to a bowl and mix well using your clean hands until well incorporated. Shape into mini meatballs, about 3/4 to an inch and place them in a bowl. Set aside. Heat the olive oil in a soup pot or large Dutch Oven over medium-high heat. Add the carrots and saute for a couple minutes or until tender. Add the meatballs and chicken broth to the pot and bring to a boil, stirring occasionally. Stir in the spinach, orzo, salt and pepper. Reduce heat to medium-low and cool for about 10 to 15 minutes until the meatballs are cooked through and the orzo is fully cooked. Ladle the soup into bowls and serve with grated Pecorino Romano Cheese or Parmesan cheese. You can make the meatballs before and freeze them in a freezer bag until ready to use. Instead of orzo, the soup is also sometimes made with acini de pepe. Orzo can also be substituted with acini de pepe. For the meatballs you can use half ground pork or half ground beef. You can even just use ground chicken or ground turkey for a healthier version. 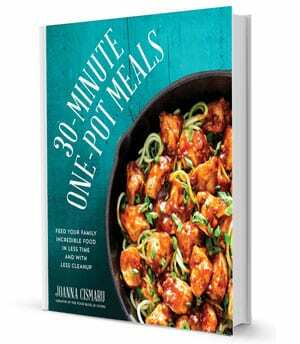 I’ve followed a billion IWS recipes, but this one is the best! I accidentally threw in a bit too much orzo, so I’ll be more careful next time. Quick and delicious! Thanks Jo! Thank you very much, we’re so glad you love this recipe! Loved the flavor. Added garlic to my meatballs – yummy, however some fell apart. Any idea why? Usually they fall apart because there’s too much breadcrumbs, so you could try decreasing that a bit or maybe adding another egg. Acini de pepe pasta. I’ve also used frozen spinach or fresh swiss chard chopped. Made it! Absolutely amazing! I added a little sausage to my meatballs AND a few cauliflower raviolis I was staring at…. thank you! Love your recipes! I gave a try on the bread in a pot😩. I think I let it ‘rise ‘ too long —- that matters, right? Are eggs deliberately listed twice? Am presuming you meant 1 large egg total. I’ve also only ever had canned Italian Wedding Soup. As much as I enjoy that, I’m sure this is in a whole other category of wonderful! Thanks, the recipe has been updated. I should have watched the video first, which does show only 1 egg. Nevertheless, thanks for fixing this. Hey, call us out anytime…. have a great day! I miss the old recipe. Is there a way to get the old version back? It seemed to be more flavorful. However, I do enjoy the addition of the carrots. Thanks we have updated our recipe. What kind of meat can I substitute pork with? You could just use ground chicken or turkey. Love this soup — but only ever had it canned! Thanks for a real recipe! Looks wonderful! I feel like I’d want to cook the meatballs a little bit before adding them to the broth? Hi! 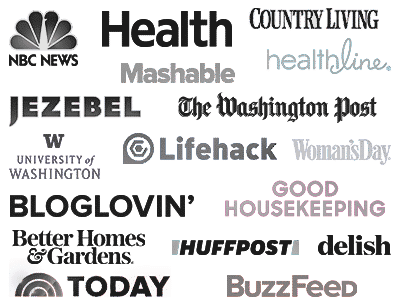 Your Italian wedding soup was nominated as one of the “Best Italian Wedding Soup Recipes on the Net”. To vote for it, please visit http://easyitalianrecipes.org/soup-recipes/best-italian-wedding-soup-recipes-on-the-net-vote-for-your-favorite/ (your recipe is positioned at #177). Hello!~ I followed your recipe and everything came out perfectly! My boyfriend loved it but I’m not sure if he liked the “wedding” part of it! Thank you!! What a mouthwatering delectable italian kind of soup. Looks enticing. well you do learn something every day.. Love the colors. And new story to go with the dish (but i am a romantic, I will miss the imagery of a wedding soup).